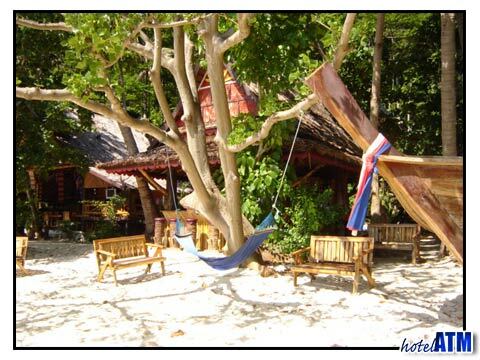 Phi Phi Island resorts are suitable for all budget. Cheaper than to the Caribbean, Mexico and Florida the tropical get a way of Phi Phi Island has a plethora of choices. You many choose to stay at a very reasonably priced Phi Phi Island resort, or you may opt for a more expensive, specialty Phi Phi Island resort. Either way, you will be guaranteed comfort and class. Phi Phi Island resorts are all amazing in their own way. Hotel bookings at the PP Erawan Palms Resort average about 2,200 THB per night for two people. This Phi Phi Island resort features private villa bungalows set between tropical flowers and plants. Rooms are decorated stylishly, with wooden walls, satellite TV, private terraces and more. For guests on a budget, this and other affordable Phi Phi Island resorts offer all you need to enjoy a relaxing and pleasurable holiday. PP Erawan is right on the beach and taxi boats can get you door to door with some of the best coral reefs in Thailand in 15 minutes. Of the many budget Phi Phi Island Resorts, P.P. Erawan Palms Resort is a great choice if you are looking to spend a limited amount of money. The Phi Phi Hotel, situated 130 meters from white sandy beaches of Loh Dalum and only a short walk to popular restaurants of Amico's, Le Grand Blue and the famous seafood Tonsai Restaurant, ranges from 1500-2000THB per room, depending on the room and time of visit. Phi Phi Island resorts such as this are fairly-priced, convenient and affordable. Phi Phi Island Village Resort And Spa is available for those who wish to really splurge! Private and secluded bungalows set between massive coconut trees and private beaches cost a little over 4000-8000 THB for a deluxe villa to around 8000-23,000 THB for a one of Thailand's best villa complexes with a pool. 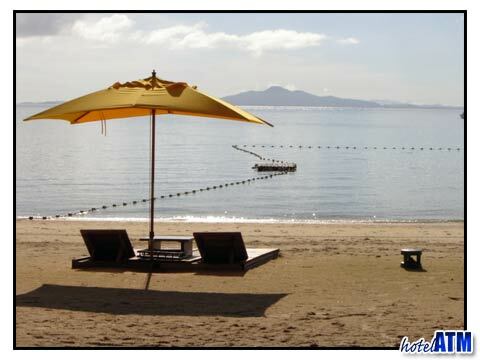 On the off-season, however, prices drop to between 8000 THB. Arayaburi Resort, which consists of villas offering panoramic views of Phi Phi Ley Island, averages around 5,000-7,000 THB in the prime holiday months to around 3,500 THB during the off-season. This Phi Phi Island resort overlooks Tonsai Bay and is located just steps from a beautiful beach. A large swimming pool with a swim-up bar and relaxing Jacuzzi are enjoyed by guests of this Phi Phi Island resort. All rooms are air-conditioned and adequately private. Guests of this Phi Phi Island resort can treat themselves to a massage if they please and eat out at one of the nearby restaurants. Other Phi Phi Island resorts include Holiday Inn Phi Phi Island- a moderately priced resort ranging from 90 to 135 pounds a night, depending on room choice and month of visit. Like many other Phi Phi Island resorts, The Holiday Inn features a daily buffet breakfast, fruit basket and on-site activities like tennis and volleyball. Rooms at this Phi Phi Island resort come with a minibar, safe and coffee maker. In addition, visitors traveling with children under 12 years of age will not have to pay extra for their kids. If the budget is key to your hotel planning strategy look up the family run resorts of Chao Koh Phi Phi Lodge (nice little resort with pool) and Phi Phi Don Resort (on the point just out of the busier Tonsai Village. For something really different try the Phi Phi Relax Resort on Runtee Bay where a very simple and clean fan room resort is set in timeless beauty along way from any other resorts.